We specialize in a wide variety of manual business checks with the options to customize by adding a free logo and your business information. They are referred to as manual checks because you have to physically write the necessary information for effective use. 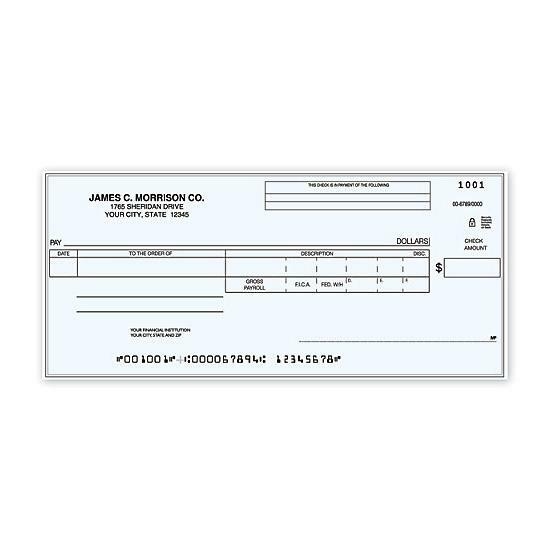 Use manual checks for payroll or multi purposes like accounts payable, cash disbursement, or just personal use. 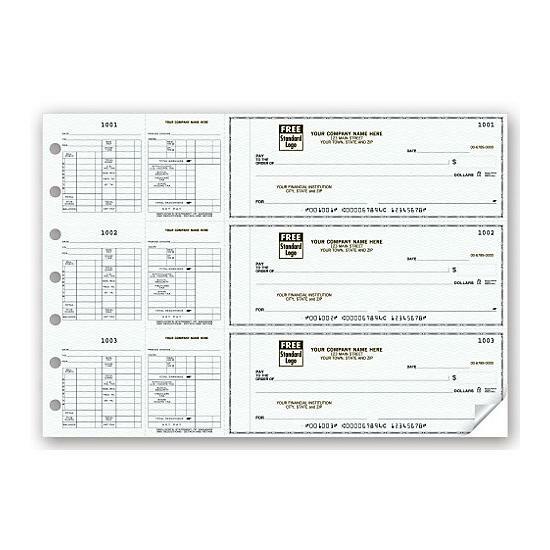 Our checks are a single sheet, 2 parts, 3 parts, & 4 parts. 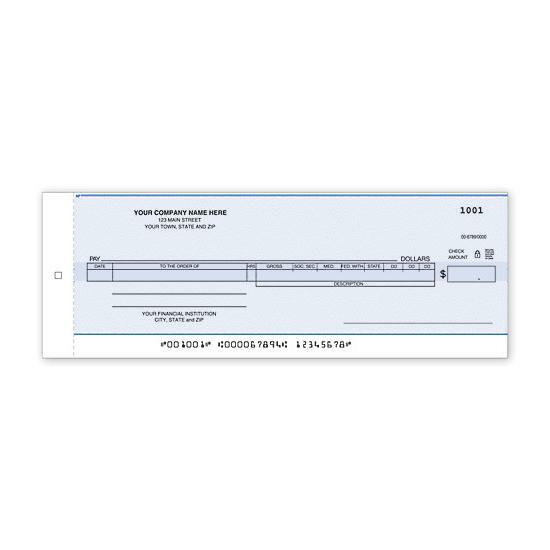 Custom printing a check means more than adding your logo. There are other things to consider like the color of the check, faded background images, watermarks, type style, and the ink color. 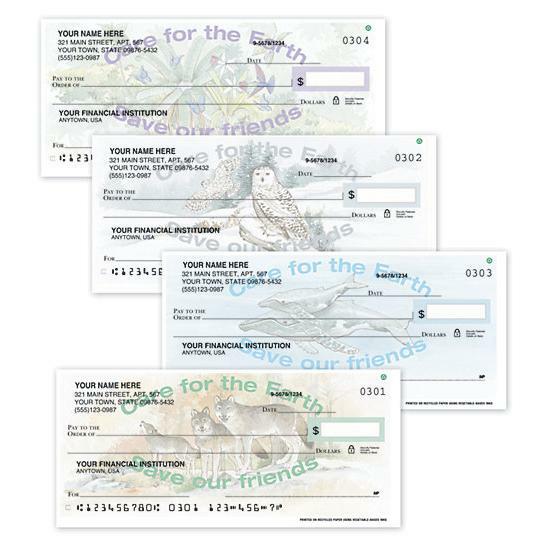 We offer the following check design options; antique, tranquility, green marble, American spirit, quarry, vanguard, gentry with gold foil accent, & starling gentry with silver foil. 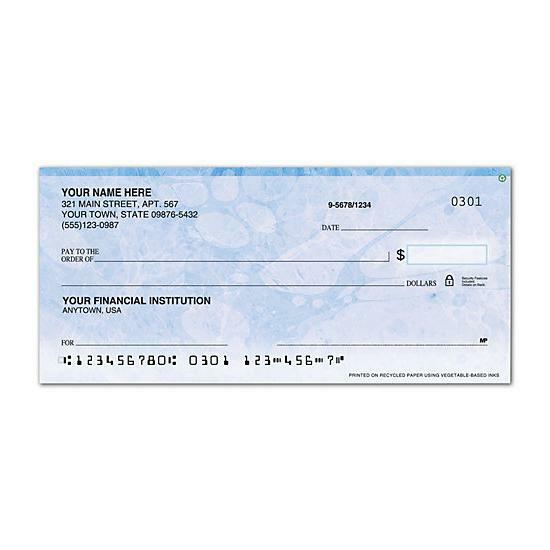 The voucher printed on the top, bottom or side stub, documents payment details. You can add an extra signature line and more. 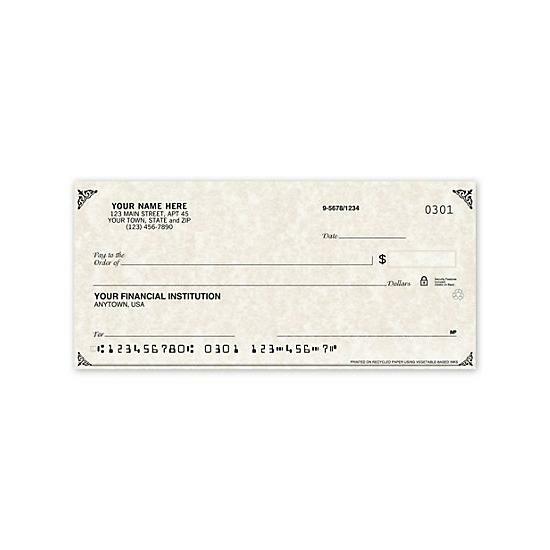 A custom printed check also gives you the ability to personalize and enhance your brand. 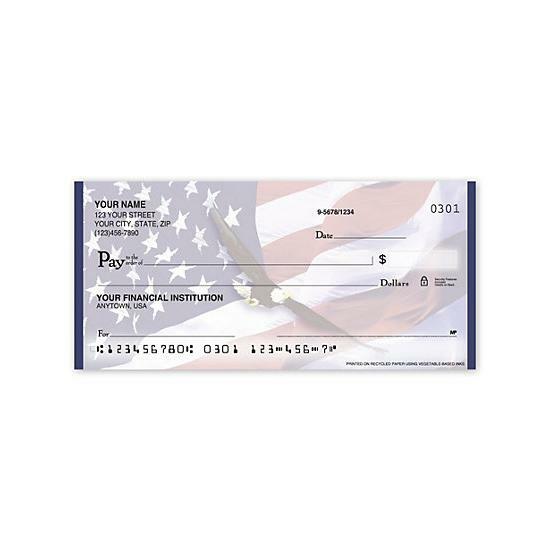 It's a form of advertising that gives you automatic promotions with every check that is written. 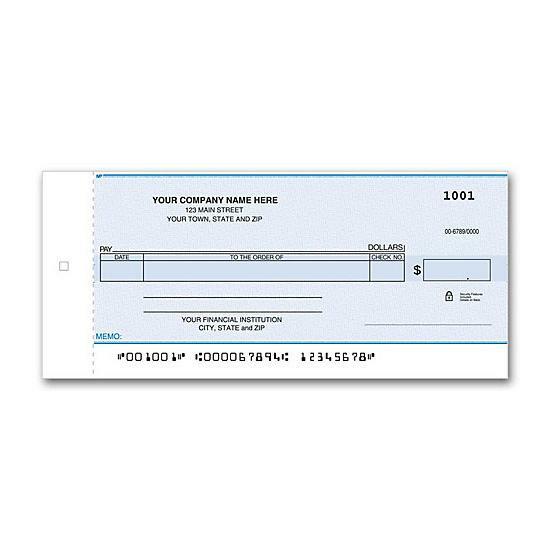 Get noticed and be remembered over your competition with your contact information printed and highlighted at a prominent position on the check. 3-On-A-Page - Many 3 on a page checks has 7 holes that allow you to easily place them in a binder. 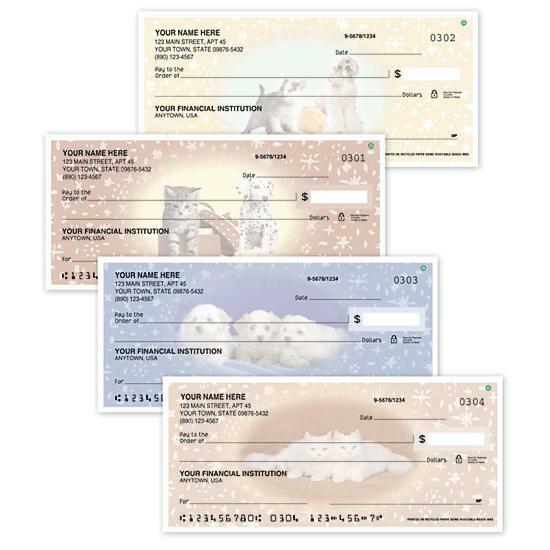 Additionally, you can also choose from those with a corner voucher, window envelope voucher checks, duplicate or 2 parts, with end stub, double side tear voucher, deposit tickets, & more. 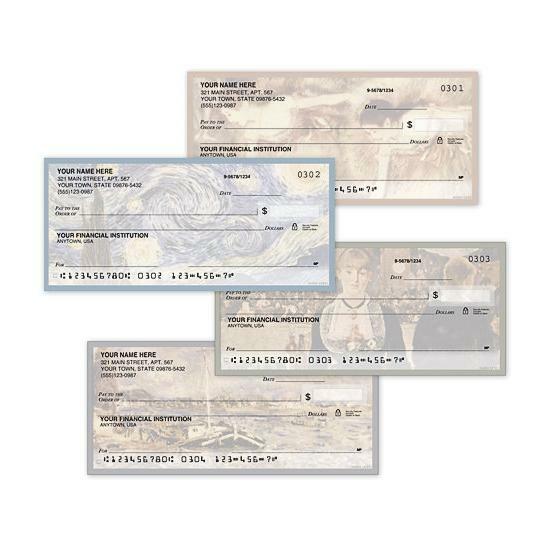 Personal - Personal checks with eye-catching image faded in the background. Small and compact pocket size. 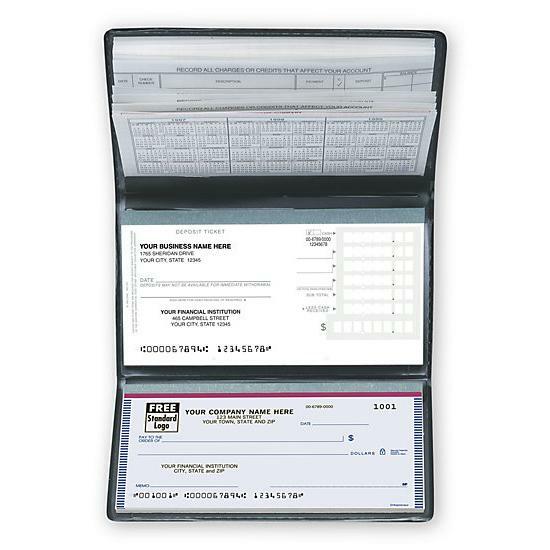 Portable - Traveller business or personal checks are full-sized, yet easily carried in your purse, briefcase or pocket! Wallet - Choose 150 checks with 50 deposit slips, or 300 checks with 100 deposit slips. We strive to give you many options to choose from and make your online check ordering experience the best. Contact us first for fast turn around time (3 to 5 business days) and cheap prices. Choose one of out stock logo from the image library or upload your own. 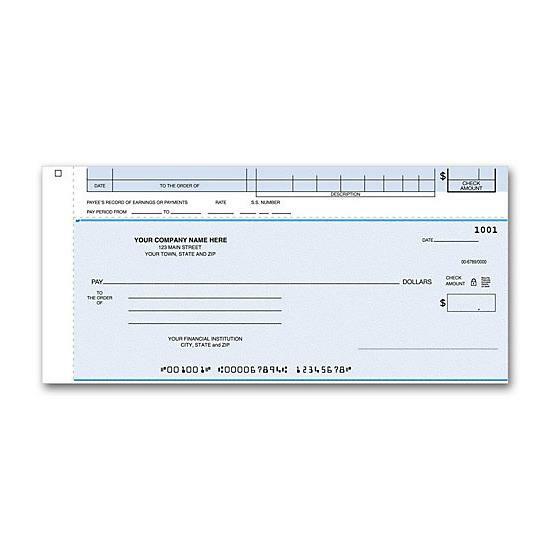 Once you have identified the check that you want, it time to now input the information that you want to print. 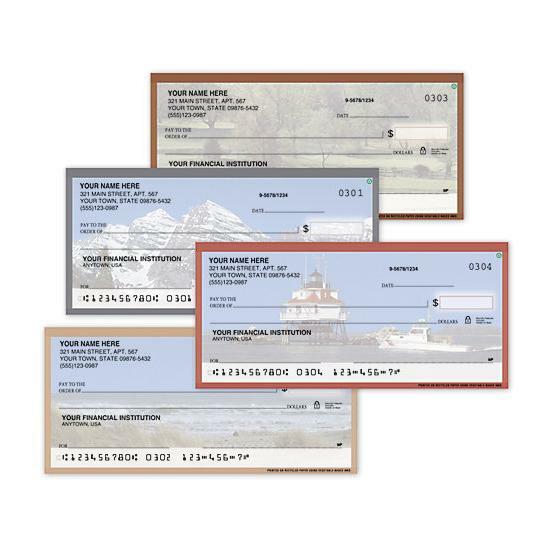 This includes your logo, business contact information, the name and address of your bank, select whether you want one or two signature lines, the starting check number, your account number, and the routing number. You must then select the quantity, ink color, and the shipping method. 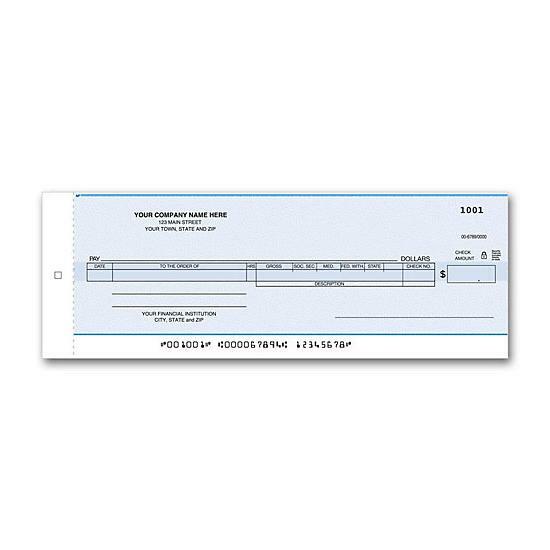 Another easy way to place an order is to upload a voided check copy. We will send an email proof for your approval before printing. We try to separate ourselves from the many check printing companies out there by offering great customer service and premium quality printing. 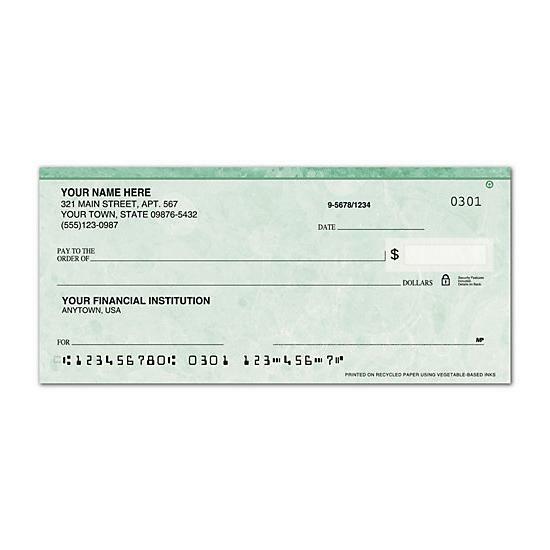 Our check choices are much more than a local bank can offer you. Place your order online or give us a call today. 1-800-492-1258.